I hope your year is off to a great start! If you’re still looking for a project to start the year off right or just some options to boost your winter curb appeal, I’ve got ideas! I’ve also put together some must-know advice about this year’s buyers’ market in case you or someone you know is ready to make 2019 the year they become a homeowner. If you or someone you know has questions about the real estate market, do not hesitate to reach out. My team and I are always available to assist you in reaching your real estate goals! With the start of a new year, now’s the perfect time to pull out your DIY skills! 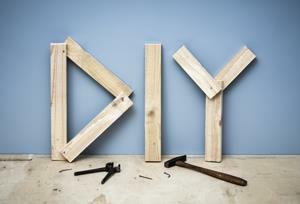 If you’re new to the DIY lifestyle, don’t worry! These projects are perfect for beginners. Convert a drawer into an electronics’ docking station. Phones, tablets, computers, and other devices that need to be charged end up monopolizing space on your tables and counters. Taking an empty drawer or junk drawer and converting it into an electronics’ docking station is a clever but not overly difficult way to add usable space to your home. First, empty out a drawer to use as your docking station and get rid of anything you don’t need. Next, buy or build a storage tray or drawer organizer. The divided storage will help keep your devices separate. After that’s in place, drill a hole in the back of your drawer for cords and put a power strip in the drawer next to your storage tray. Plug the power strip in and plug your chargers into it. You can use zip ties to rope up extra length on the cords to keep your docking station neat! Convert a closet into an office. Need an office but don’t have the time or money to add a whole new room to your house? Consider converting a closet into an office. A walk-in closet can be converted into a convenient space for your printer, computer, and files, while a standard size closet can fit a desk or work table if you remove the doors. After all, it doesn’t take a whole lot of space to make room for a computer or writing space. This super simple DIY project is suitable for any skill level. Smart, energy efficient light bulbs can often last 15 years or more, saving you in bulbs and electricity over time. You’ll also gain the ability to adjust your home’s lighting via your phone, which is both convenient and fun. Some smart lights can even be hooked up to Amazon Echo, allowing you to operate your lights via voice control as well. Winter curb appeal can seem hard to achieve, but with the right techniques, your home can be just as inviting in winter as it is in spring, summer, or fall. Some ways to put some life back into your home’s exterior in the winter months are below. Outdoor lighting allows you and your guests to navigate your yard more safely, and carries the added benefit of looking beautiful. Solar lights especially are a great way to highlight the edges of sidewalks, driveways, paths, or garden beds, and since they’re solar powered, you won’t need to turn them on every night. 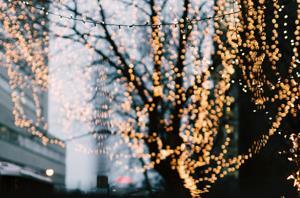 Adding string lights to trees and shrubs is also a simple way to liven up your yard with minimal landscaping expertise. There are plenty of plants that stay green or turn beautiful, vibrant colors in the winter. Plan ahead by investing in some of these plants for your yard in spring or fall. Some examples of cold-tolerant plants include grasses; evergreens like arborvitae, firs, and junipers; and other woody plants such as winterberry or paper birch. Keeping your yard neat and tidy during winter is another way to improve your winter curb appeal. Start by raking up and removing fallen leaves, keeping the roof and gutters clear of debris, and, if you want to go a step further, giving your windows a good cleaning. 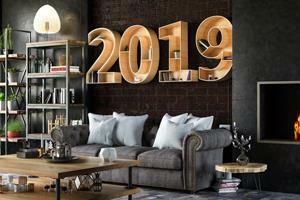 Is 2019 the year you’ll finally invest in your own home? If so, here are three things you’ll need to know. Mortgage rates are currently on an upward trend so the sooner you can lock in your interest rate, the better. However, if you aren’t ready quite yet, don’t stress. Rates are rising, but it’s happening slowly. In the meantime, consider taking proactive steps to lower your interest rate by improving your credit score or shopping around for the best terms. There are still a few institutions for buyers looking to roll closing costs in with their mortgage payment, but you should plan on having enough cash on hand to cover your down payment and closing costs. Closing costs can run around 2.5% of your loan amount, so take that into account when figuring out how much you can afford to pay for your home. The entry level home market is still tight, so get pre-qualified by a lender before you start looking at houses. This will not only inform you of how much house you can afford; it will also allow you to put in an offer immediately when you find a house you like. If you or someone you know is getting ready to buy or sell their home, give me a call. I can help you figure out what you need to do to get the best possible results.